Hail to the future king! Help him liberate Excalibur from the stone to prove that he’s worthy of the throne! Let your imagination run Wild as you relive the well-known story of the Mighty Arthur that inspired many game providers! 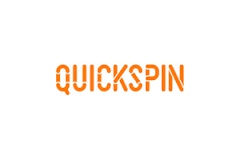 By now you already know that QuickSpin is expert at bringing medieval Novel to life. What’s more is that you probably already know that their games always have fantastic graphics. But who knew that the game studio had a flair for music as well? In fact, the soundtrack that accompanies the gameplay and the multiple features this game offers will transport you right in time an accompany your quest for glory perfectly! Feel the magic of Merlin and Excalibur simply by reading the review below! Ever since the release of Mighty Arthur Video Slot, social media is buzzing with big wins! Granted that we’re not sure if it’s the fantastic storyline that first attracted players to this slot or the social media buzz. But we’re confident that it’s the features we’re about to describe below that make players win so much. So, without further ado let’s look at them in closer details. Mighty Arthur video slot delivers magic in practically every spin! Indeed, know that at any time during the base game, Merlin the Wizard and Arthur can appear on the reels to expand. What’s more is that the two heroes can also trigger a nudge of the reels randomly, to give you more chances to win big! But in this game, it’s Arthur that has special powers! In fact, know that the Arthur symbol can not only expand vertically but horizontally too. And by the same token transform the symbols on up to 3 reels at once into a colossal one. You’ll trigger this feature with the help of 3 Red bonus symbols. And keep in mind that these symbols can only land on reels 1, 3 and 5 and give 10 Free Spins. But a great thing about this game is that if you get 3 more symbols on the reels in the bonus, you’ll re-trigger it! Additionally, know that while you play the Free Spins bonus, you’ll have the chance to get extra wilds every time Merlin expand! Mighty Arthur Video Slot has many bonus features! In fact, it would be difficult to fully explain them to you in such a short review and also to tell you how good this game really is! So why not heading to a casino to try it and read to paytable to know more about them! Have fun!